For some reason the word “porridge” has always been a put off for me. Then once I realized it was essentially runny oatmeal, I was definitely gung-ho for making Cinderella’s porridge. Cinderella is the quintessential Disney princess. Her castle is the main focal point in Disney World’s Magic Kingdom, and her popularity has spanned through many generations of little girls. I’m gonna skip doing a run-down of the movie plot, since I’m assuming everyone knows the gist of it. If you’re in the mood for a less light-hearted version though, check out the Brother’s Grimm version. It involves the stepsisters cutting their toes off to fit into the glass slipper. What a surprise Disney didn’t include that part of the story! 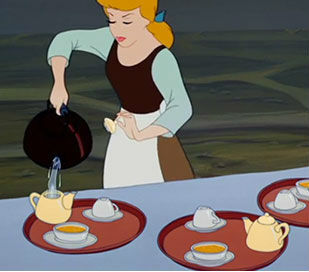 Poor Cinderella though, in-between cleaning, must make tea and porridge for her mean stepmother and stepsisters. 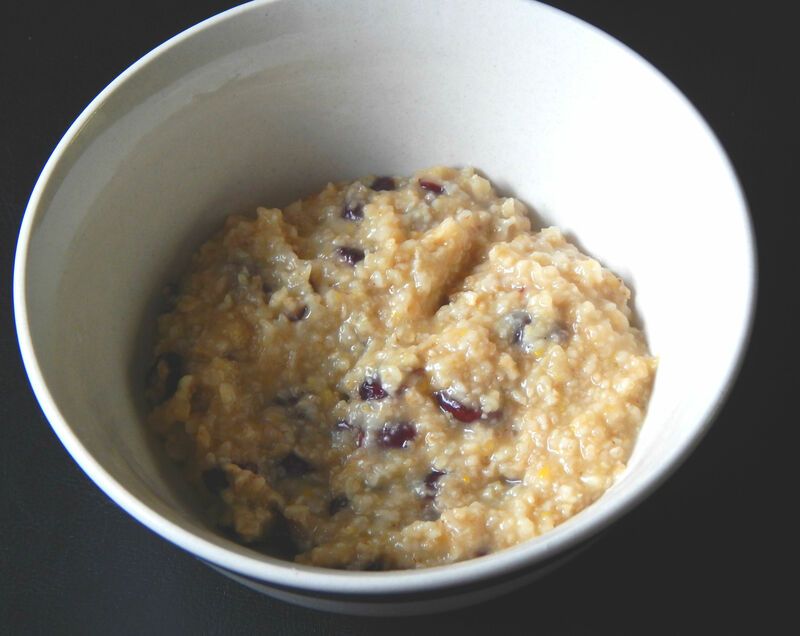 I’m sure what she made was plain oats and milk, but I decided to jazz it up by adding agave, orange zest, and dried cranberries. Definitely better tasting than anything those stepsisters and stepmother deserved. I grew up always calling oatmeal porridge! I don’t think it was until I got on food blogs/forums that I started saying oatmeal. All the old fashioned kids books (think Enid Blyton etc) have the kids eating porridge here. Not to mention goldilocks! Such a nostalgic food. Thanks so much! This will be fun to blog about.